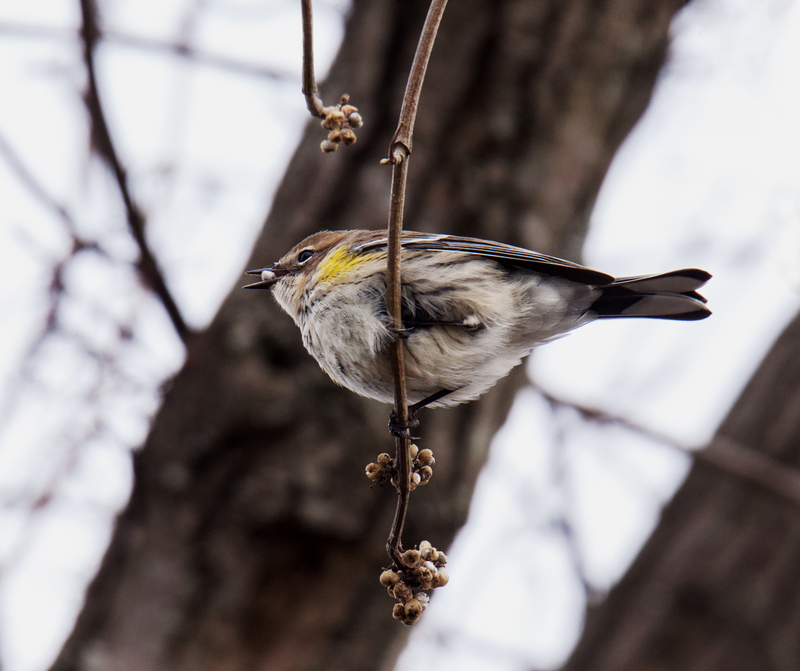 When I spotted a small bird hanging from a branch, I zoomed in with my telephoto lens and discovered that it was a Yellow-rumped Warbler (Setophaga coronata). I could also see that there were numerous clusters of poison ivy berries on the branch, so I waited to see if I could capture an image of the warbler grabbing a berry. The warbler turned its head away from me when it pulled the berry from the cluster, but fortunately turned back in my direction with the berry still visible in its mouth. 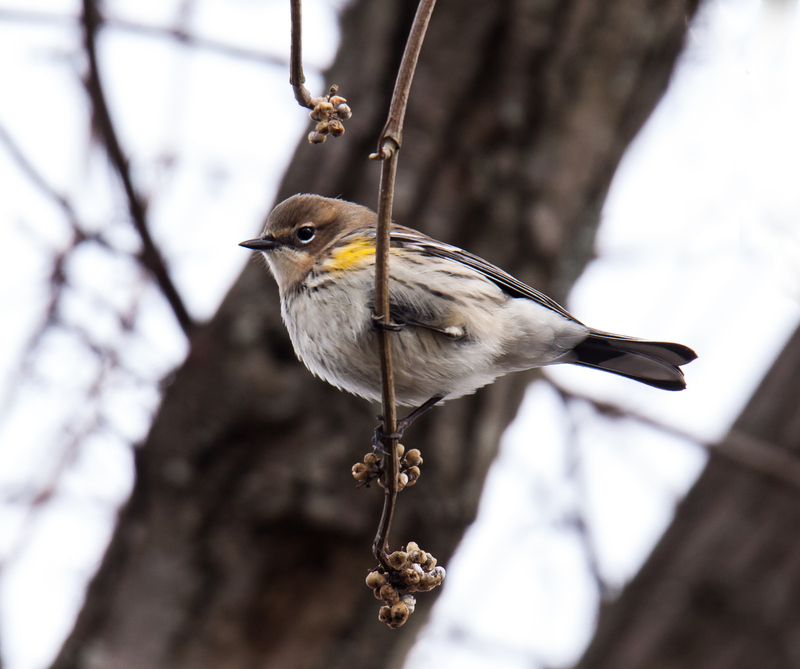 I was really happy to get the shot and the warbler seemed to be berry contented. Great images, Mike. I’m glad something can make good use of those berries. I wouldn’t want to get very close to them. Apparently lots of birds eat them during the winter, when other food sources disappear. I remember being shocked to hear that last year for the first time, but now I have photographed several birds munching on these berries.